Light output is a term used to describe how much light a fixture produces and how it emits and distributes that light. Photometrics is the more formal term for the data describing the quantity and distribution of visible light. Lighting specifiers and designers use this information to make evaluations of a lighting fixture’s capabilities and its suitability for a particular undertaking. The specification used for evaluating and comparing the performance of a light is lumen output. 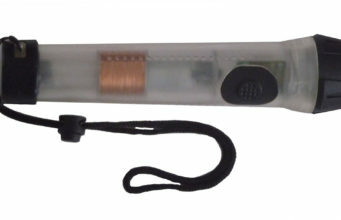 A lumen (lm) is a unit that measures the total perceived power of a light source. One lumen equals the amount of light generated by a single standard candle. The lumen rating of a lamp is a measure of the lamp’s total light output – or luminous flux. Bulb manufacturers publish specifications listing the lumen output of their bulbs and sometimes flashlight manufacturers will just regurgitate this when stating the lumen value of their flashlight. However, the actual output depends on the voltage and current delivered to the bulb. Candle power is a now obsolete unit that expresses luminous intensity. It expresses levels of light intensity in terms of the light emitted by a pure spermaceti candle weighing one sixth of a pound and burning at a rate of 120 grains per hour. It measures the intensity of light falling on a specific target rather than the total amount of light emitted. A lamp will have a higher candlepower rating if it has a more focused beam. 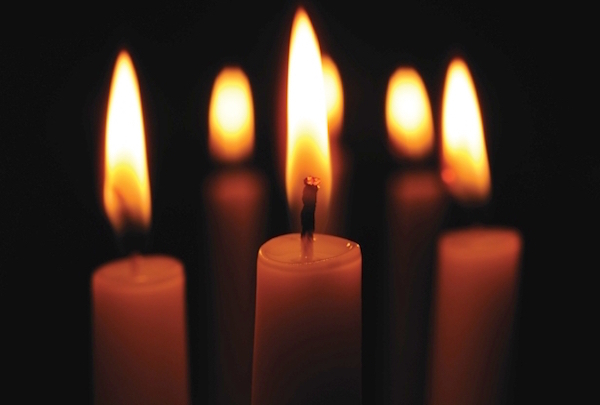 In modern usage, candlepower equates to the unit known as the candela (cd). 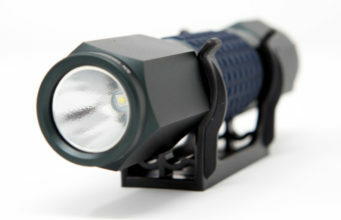 The phrase ‘Out The Front Lumens’ refers to the light that is projected from a flashlight out the front of the light and is not representative of the number of lumens that would be emitted if the bulb was being powered on its own without the flashlight surrounding it. Therefore, to measure the actual light output of a flashlight, an integrating sphere is used to capture all of the light and distribute the light equally in order for it to be measured accurately. 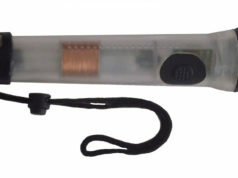 OTF lumens are typically 25% – 30% lower than rated lumens. 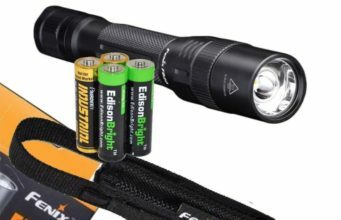 This leads many manufacturers to ignore it as a published measurement as it can confuse consumers who may compare an OTF rating for one flashlight with a total lumens rating for another flashlight. 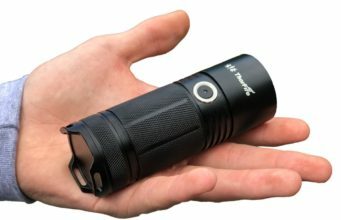 Previous articleWhat is the difference between a flashlight and a torch?